Make 4 fortnightly interest-free payments of $44.75. The styler for the smartphone generation or for people on the go thanks to GlamPalm's SENSE™ Technology. 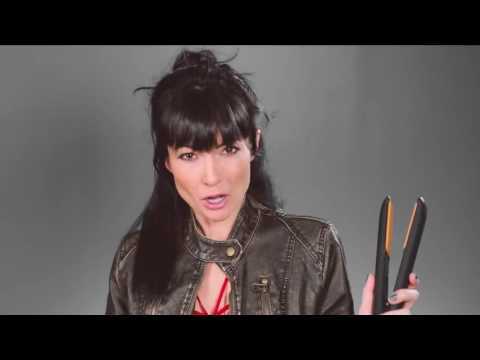 The SimpleTouch is the newest exclusive innovation with SENSE™ Technology from GlamPalm’s labs - the world’s first motion-activated entry-level styler ready to be in your hands. A styler without buttons or switches - simply tap the plates together once to turn it on! This breakthrough technology has reduced heat-time to less than ten seconds which means less time waiting and more time styling. The fastest in the world! Seamlessly switch between two heat settings (165° and 195°) by tapping twice or three times. 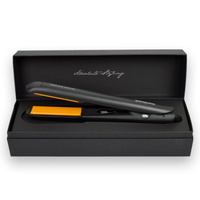 Never worry about leaving a flat iron on and burning something as the SimpleTouch has a 35 sec. SENSE™ auto shut-off feature! 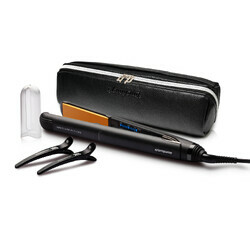 Ideal for all hair types, the GlamPalm SimpleTouch is a great basic styler. 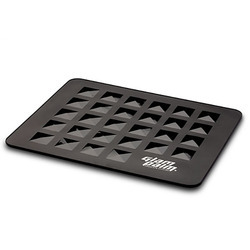 The GlamPalm SimpleTouch is equipped with the latest MICOM (Micro-Computer) controlled heat system. 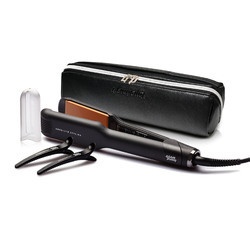 Your styler will automatically adjust the temperature according to its thermal sensors. This will allow an even heat transfer across its special ceramic plates. 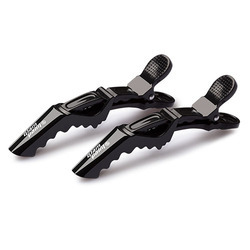 Excellent product - will recommend to everyone! 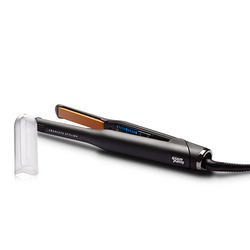 This hair straightener is beyond excellent. 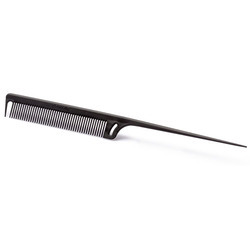 The technology is far more advanced than all others on the market - I have had all the major brands and I can honestly say this one is the most smoothest, and safest on my hair offering beautiful styling with a light weight ergonomic device. I am just so upset that I had not come accross this brand earlier on. Have already recommended to many friends and family. Am hoping for a limited edition design and colours so I can purchase more stylers from them. Love the product and your service... brilliant! Love my new simple touch! It’s so easy and quick to use. I would just like to say how impressed I am with my straightener absolutely love it my hair looks and feels amazing. Also it was my first time ordering from Glampalm and cannot believe how quick I received it. Arrived the following morning. Quick delivery, very easy to use. Heat up very quick, smooth and easy to use. It is amazing, My sister has the GP313 Mid so i already knew it was going to be good. I decieded on the smaller one however so we can share and now can have two different size curls with the two different plates. Will never go back to another straightener after using glampalm. I recently bought the simple touch limited edition. I've used glam palm a couple of times but forgot how good it was! Needed an upgrade so decided to try it out. Love it! So smooth & straightens the hair so nice & quick. I was having trouble with dry and fizzy hair, so I put it down to years of bleaching and a more 'mature age'. I now realise it was the old straightener I was using. First time using the Simpletouch it felt soft and shiny! I tend to keep my hairstyles shorter in length, so this particular model suited me perfectly. I have the 'swoosh' and healthy look back in my hair! Delivery was super fast ans the Simpletouch is so quick to heat up and does a brilliant job in a flash. Love it! 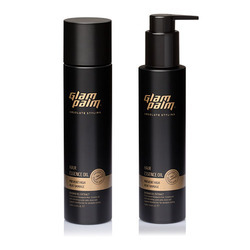 LOVE Glampalm - Best yet! Loving my new straightener. Much better than any competitors on the market. You can literally feel how much softer the hair is after use. 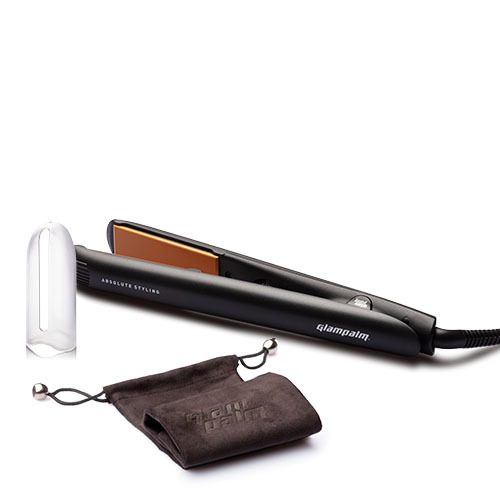 Been looking for a GOOD hair straightener and when I came across GlamPalm, I couldn't really refuse after the amazing reviews. When I tried it, not only was it good, it was amazing. My hair feels so much softer and looks so much shinier. 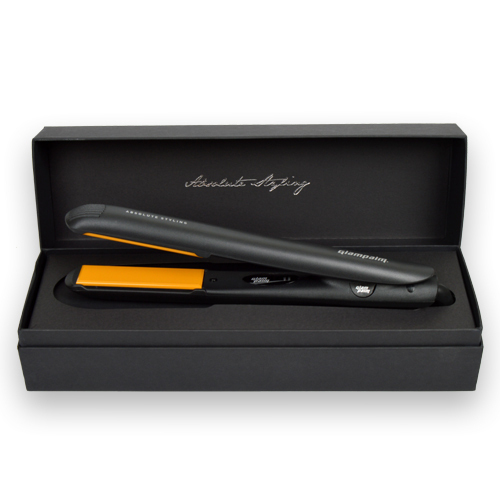 The simpletouch makes it so easy and it really is the future of hair straighteners, I'd definitely recommend! Super quick delivery and such a good product! 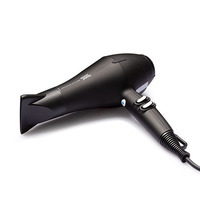 It simplifies my morning hair routine and is so quick to heat up!! Highly recommended! This product is amazing and makes my hair feel great. Love the product.